Stilt-walking is an amazing thing to have at your event to make an unforgettable first impression. With one of the tallest stilt-walkers in the UK in the Travelling Light Circus family we are head and shoulders above the competition. Our Long Legged Larry is a ginormous spectacle to behold, standing at over 9 feet tall; and that’s without a hat! He makes a truly massive impact in any space and is always a big hit with the kids. To top it all off he does magic too. So if you’re having a party or a corporate event, opening a club or just want to have some brilliant family-friendly fun, this giant of a man will raise the bar on any event. If you want to make an even bigger impact, why not have a pair of stilt-walkers? Twice the fun and double the pleasure! We can create costumes and characters to match the theme of your event, working with ‘normal sized’ performers too, to give a real sense of occasion to your occasion! 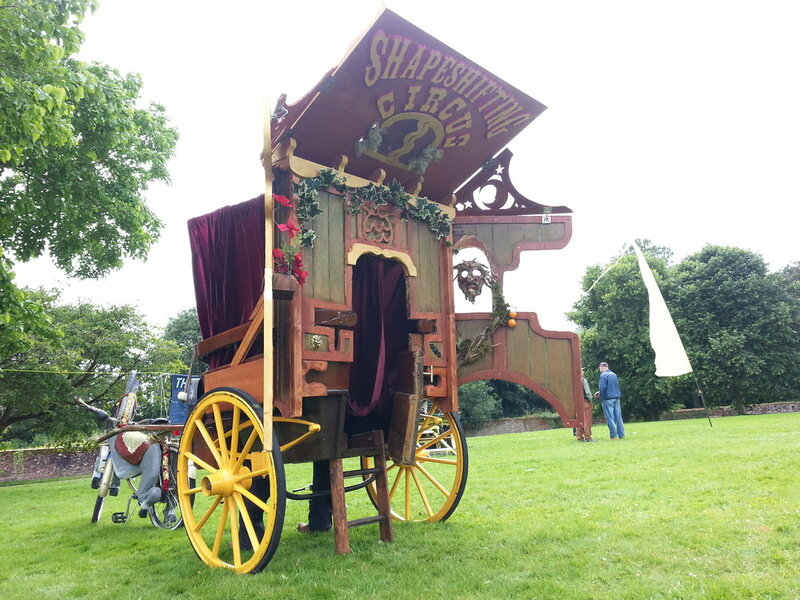 Step into our make-believe fantasy world of the Shapeshifting Circus and join us on a journey with the Magical Carriage! Our specially converted Victorian pony trap is part Romany Vardo, part travelling stage and for anyone who sees us, all part of a great day out. This is interactive walkabout entertainment at its best, as seen by thousands of visitors to family-friendly events around the country. 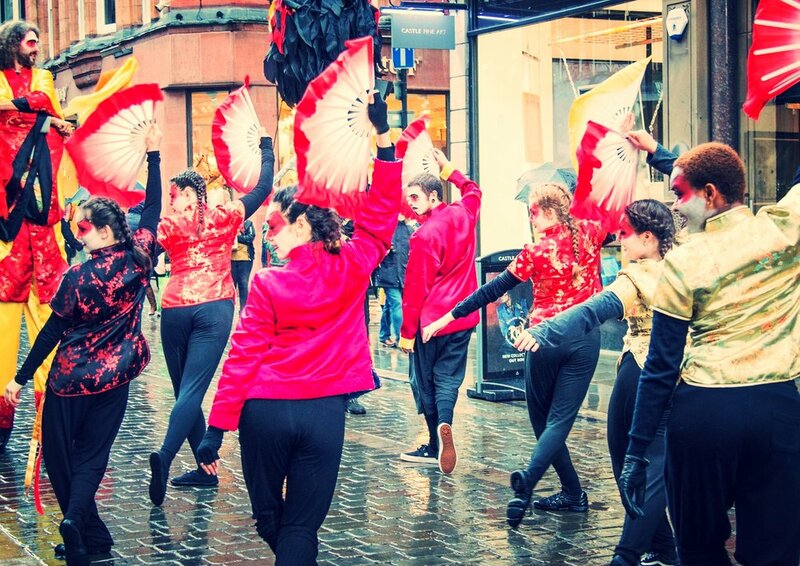 Whether you’re young or old, everyone has their own extraordinary experience when you stumble into our world of stiltwalkers, clowns, ringmasters and not forgetting the forgetful fortune-teller! We can create pop up performances in any place – in a city, a village green or on a beach. We can pull the carriage with man power, or bring our lovable ‘donkey’ – a converted bicycle who we call Disco – along for the ride. 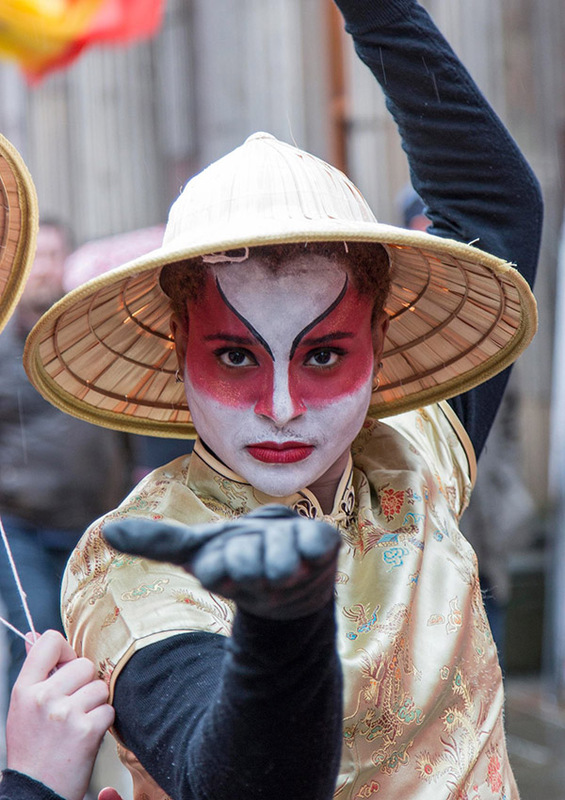 The Shapeshifting Circus travels at walking pace around town, delighting audiences with colourful characters, playfulness, and a good dollop of cheeky charm. When we stop, the carriage starts to shift shape: the roof lifts over and the sides fold back, creating an 8-foot pop-up performance space, complete with an on-board sound system that provides musical accompaniments to our walkabout strolls and our static shows. This portable stage even has its own trapdoor – in the roof! There are different costumes in the carriage too, allowing us to change characters in moments. Each of our performances are audience inspired and can spontaneously shapeshift to adapt to the size, age, and responsiveness of any given crowd. We play games and we tell stories. We dance to disco on the street. Come one come all to see us blow the biggest bubbles possible at a party for all ages!